Just over a week ago, I met with a group of staff who have volunteered to come up with a new feedback policy. Like most schools, we have a marking policy in place, that outlines how often books should be marked and why etc. 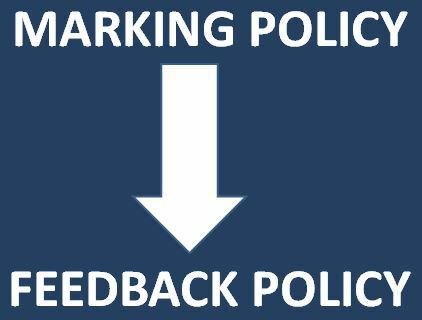 However, as our staff come up with more sophisticated approaches to feedback (as shown by Andy Tharby in his brilliant blog) it is becoming clear that the time is right to review this and move more towards a feedback policy. It seems, from twitter, that a number of other schools are taking the same approach. The work of John Hattie (above) suggests that feedback (with an effect size of 0.73) is well within ‘the zone of desired effects’ i.e. it makes a significant difference to student learning. 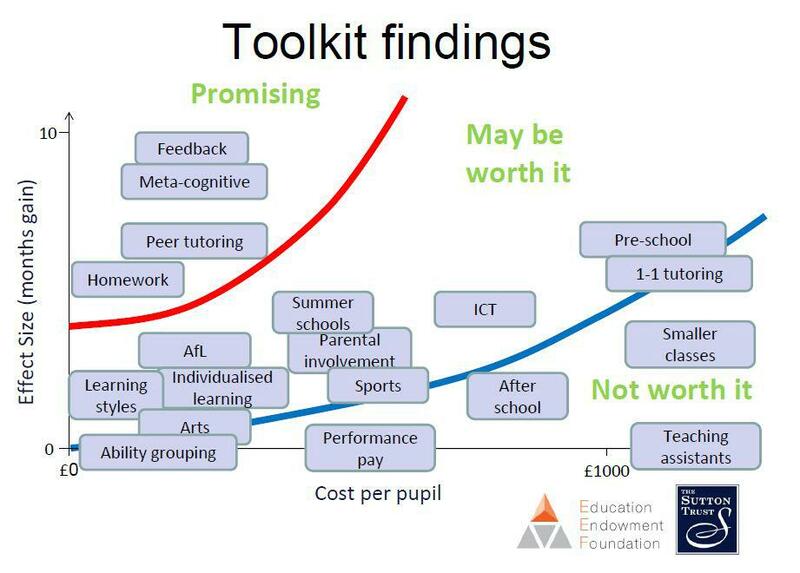 If you want to read more about Hattie’s work and ‘effect sizes’ there is more on this here. Alternatively, listen to his TEDtalk. Increasing the amount of feedback in order to have a positive effect on student achievement requires a change in the conception of what it means to be a teacher. It is the the feedback to the teacher about what the students can and can’t do that is more powerful than feedback to the student, and it necessitates a different way of interacting and respecting students. 80% of feedback a student receives about his or her work in primary school is from other students. But 80% of this student provided feedback is incorrect! It is critical to have appropriately challenging goals as then the amount and directedness of feedback is is maximised. Simply applying a recipe e.g. provide more feedback, will not work in our busy, multifacetd, culturally invested and changing classrooms. Further details about interpreting the toolkit can be found here. So, the evidence suggests that if you want to improve learning, you need to improve feedback. So the purpose of the feedback is very straightforward. 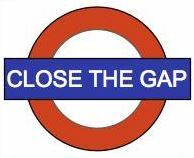 Following the identification of any ‘learning gaps’ when students undertake a particular task, the feedback should be aimed at closing this gap. The feedback could be written or verbal, from the teacher, peers or themselves – but the intention is the same – to close the learning gap. Address faulty interpretations, not total lack of understanding. So what are we planning to do? 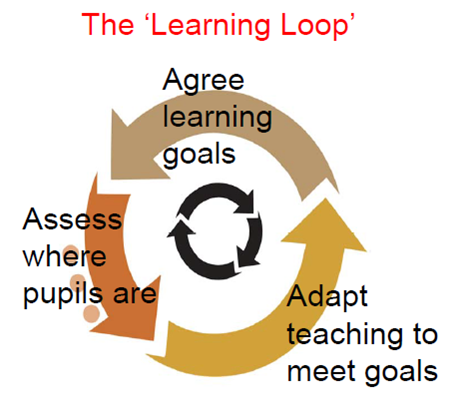 Close the learning gap – feedback needs to close the learning gap. If it doesn’t do this, it is not serving its purpose and so is not worth doing. So any feedback that is planned and carried out by teachers, must be shown to close the gap and allow students to move on with their learning. Be manageable – this is a key objective. The core purpose of our teachers is to plan and deliver excellent learning for our students. Anything that stops them doing this, needs to be stripped away. So any feedback strategies that are implemented need to be manageable and sustainable – high impact for minimal effort. Be fit for purpose – Different subjects will require different approaches to feedback. What works well for one subject may not be so effective for another – this is fine. Subjects should be encouraged to find their own way – as long as it closes the gap. Acknowledge a variety of feedback – Effective feedback can take a number of different forms – verbal or written as well as from the teacher, peers or self. Furthermore, it should not just be constrained to exercise books – folders, homeworks, assessments, exams, projects, presentations etc, all receive feedback. The group are meeting on Thursday to discuss the core principles of the policy and then some subject specific expectations. If you have any thoughts or ideas to contribute to our work, please feel free to add to this PADLET page, or leave a comment to this article. This entry was posted in General Teaching and tagged Feedback. Bookmark the permalink.